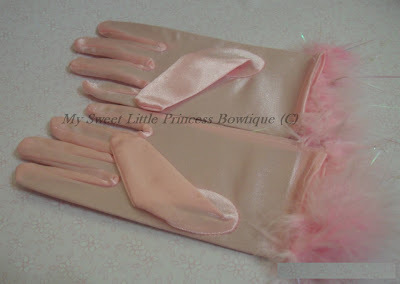 Newly imported Princesses' gloves in white and pink. 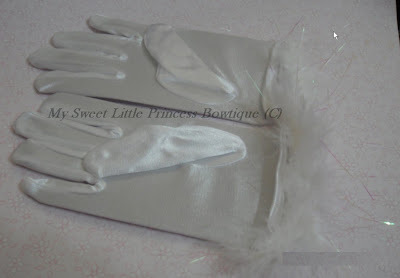 It is stretchy and decorated with marabou at the end of the gloves , suits 2 to 7 years old. Ideal for photo-taking, plays, parties and events.